A new bill making its way through the Wyoming state government would create a series of new crimes around the use of drugs during pregnancy. A new bill making its way through the Wyoming state government would create a series of new crimes around the use of drugs during pregnancy, targeting both women who use illegal substances during pregnancy and those found responsible for providing such substances to pregnant women. The bill in question – House Bill 215 – creates a series of new crimes around the death of an infant brought about by drug use on the part of the mother. The first new such crime depends on whether a mother knowingly imbibes a (Wyoming) Schedule I or Schedule II substance. Among the substances in the Wyoming Controlled Substances Act that classify as Schedule I are heroin, cannabis, and mescaline. Among those classified as Schedule II are opium, codeine, and methadone, among others. The crime – described in the measure a “drug induced infant homicide” – is deemed a felony and made punishable by up to ten years in prison. The measure also makes it a crime if a mother that abuses illicit substances gives birth to a child that does not die, a crime punishable by up to five years in prison. Authorities would be able to determine if the mother had used drugs by testing the infant and seeing if it tested positive for any illicit substances. If charged, women who subsequently sought treatment for substance abuse would be able to use such treatment as an affirmative defense. …Any person who violates [a previous provision in the bill] by delivering methamphetamine or a controlled substance which is a narcotic drug listed in Schedule I or II to a person who he knows or reasonably should know is pregnant. In other words, don’t get caught providing cannabis or other illicit substances to a pregnant woman, or you could face jail time. The person who delivered the substance could face a prison sentence of anywhere from 10-25 years, as well as a fine. 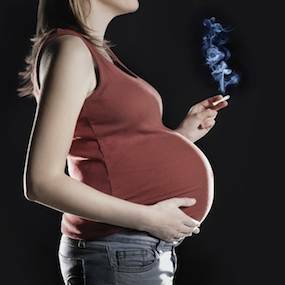 But that’s not all: Should the pregnancy of the mother in question be subsequently be terminated as a result of the mother’s substance use, the person responsible for the substance’s delivery could face a prison sentence between 20-50 years. That sentence would be on top of a prospective fine of up to $50,000. That provision becomes more complicated when factoring in the threshold for what constitutes whether someone should “reasonably know” someone else is pregnant. The bill creates three brackets – before 16 weeks, 16 to 22 weeks, and after 22 weeks – in determining the reasonability of assuming someone is pregnant. Before 16 weeks, for example, a person who delivered the substance would be forgiven if they did not know the mother in question was pregnant; after 22 weeks, however, the state deems that person as having enough information to reasonably determine the mother’s pregnancy.